I've tried to do the photo challenges before and basically, fell off the band wagon. Since, it's the start of a new month, I decided that I'll give it another try. Maybe, if I actually end up doing all thirty days, we'll keep going. And, maybe, just maybe, I'll start a list of my own. This list was taken from chantelle, from www.fatmumslim.com.au. The list seems great to me and I think that I can actually do this. It seems pretty easy enough- I've seen a few pics from friends who've participated in monthly photo challenges before. 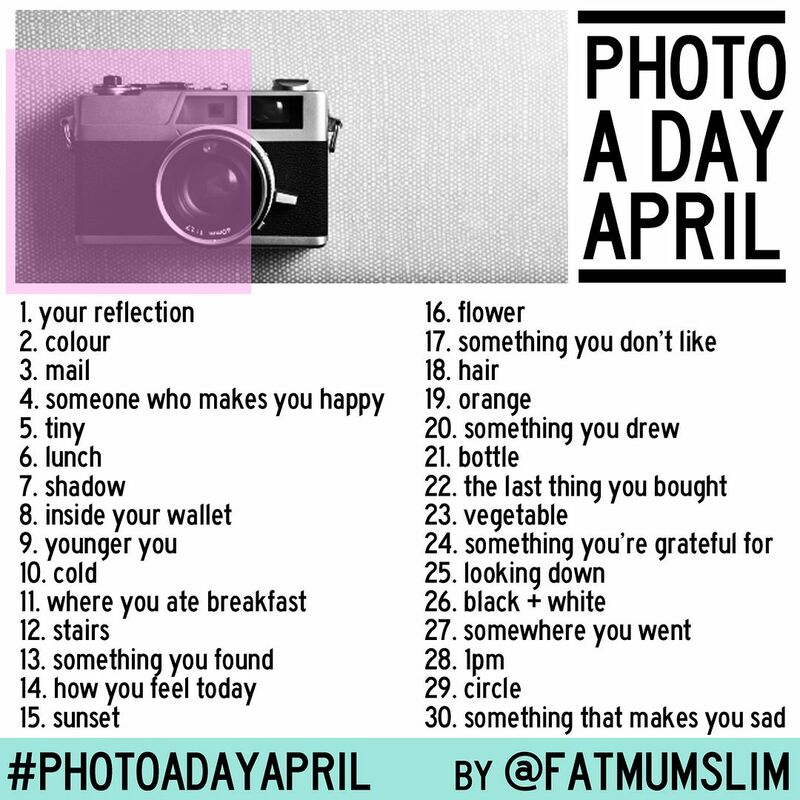 The basics: just take a picture with your camera or camera phone for each prompt listed for each day. There are no rules- just have fun! And, the key thing is to share the photo on Instagram, Twitter, Facebook, Pinterest, Blogger as long as it has the following hashtag #photoadayApril. And, let the photo-taking begin!!!! Here are my two photos for April 1st and April 2nd. You can also see these photos on my instagram page.